The Wake Forest Fire Department in North Carolina is using drone technology to assist search and rescue operations. They are using a Webcaster X2 encoder to live stream footage from the drone to incident commanders. This unique aerial perspective provides “instant information” that can have an impact on saving lives. 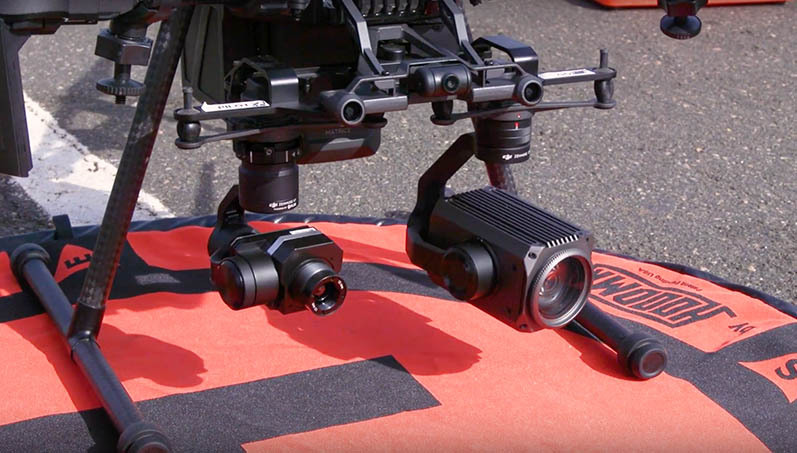 A few months ago we visited the Wake Forest Fire Department to see how Webcaster X2 helps rescuers on the ground receive aerial footage faster. Live streaming drone video is a quick way for first responders to gather visual information on the target. The live visual aid helps them quickly assess the situation and act accordingly, making their job safer and easier. Steve Rhode, the man behind the drone, is a professional unmanned aerial vehicle pilot (we recently posted an article about live streaming drones and briefly mentioned Steve, be sure to check it out!). He gets dispatched in emergency situations such as forest fires and missing persons searches, and helps assist first responders in resolving the issue. He gets to the scene within minutes and flies his drone over the target area (at a safe distance). Steve then live streams the drone footage to a private YouTube channel, where authorities with access watch the video in real time. He explained to us how exactly he gets the live drone footage on the internet. Steve uses a DJI Matrice 210, a high end professional drone, able to endure severe weather conditions. Steve’s drone camera is equipped with 2 cameras: a (regular) Zenmuze Z30 camera with up to 180x magnification and a FLIR infrared camera that helps him identify live targets as well as fire origins from 400 ft in the air. Steve set up a mini live streaming station right in the back of his truck. His drone’s live video feed is available through the remote controller’s HDMI out, and connects directly to Webcaster X2. He powers up the Webcaster X2 using an external battery, and then uses a dedicated Wi-Fi hotspot to connect to the internet. That’s really all he needs to get the stream going (we have a special article about going mobile with the Webcaster, if you are interested in learning more). With the help of Steve and his drone, the Wake Forest Fire Department was able to help many people escape dangerous situations faster and safer. Just recently, they were able to locate a 79-year-old man with Alzheimer’s, who wandered off into the woods. Steve posts debriefs of his most notable drone operations (and even posts videos from the drone!) on his blog called Public Safety Flight. Really cool stuff. We are very happy to learn, that Webcaster X2 is able to play a small role in helping first responders help more people and even save lives! Special thanks to Wake Forest Fire Department and Steve Rhode for sharing their story with us. 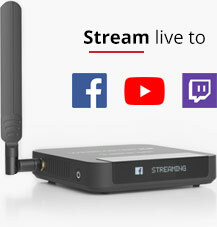 Epiphan Webcaster X2™ is a dedicated encoder designed from the ground-up for live streaming to YouTube, Facebook, and Twitch, making streaming a breeze.